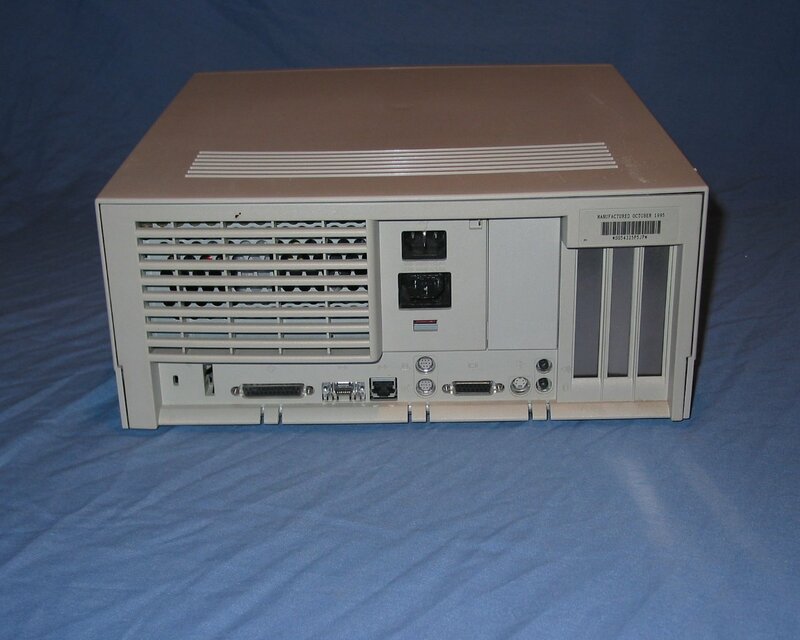 The front of the system unit with the auto-inject floppy drive and tray load CD-ROM drive. 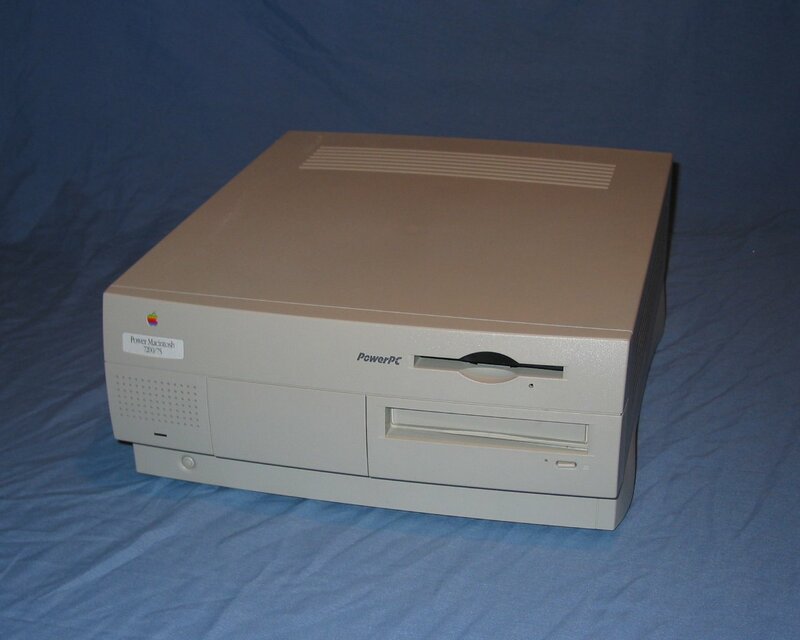 There is also available a alternate bezel so a removable media drive can be installed to the left of the CD-ROM. 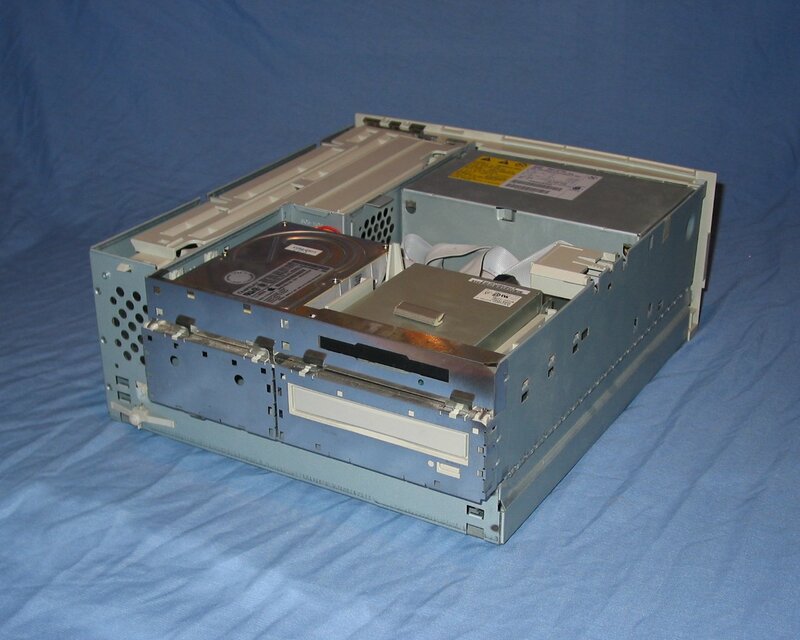 The rear showing (from left) the security slot, SCSI port, AAUI and RJ45 Ethernet, modem and printer serial ports, video out port, Apple Desktop Bus port, and headphone and microphone sockets. 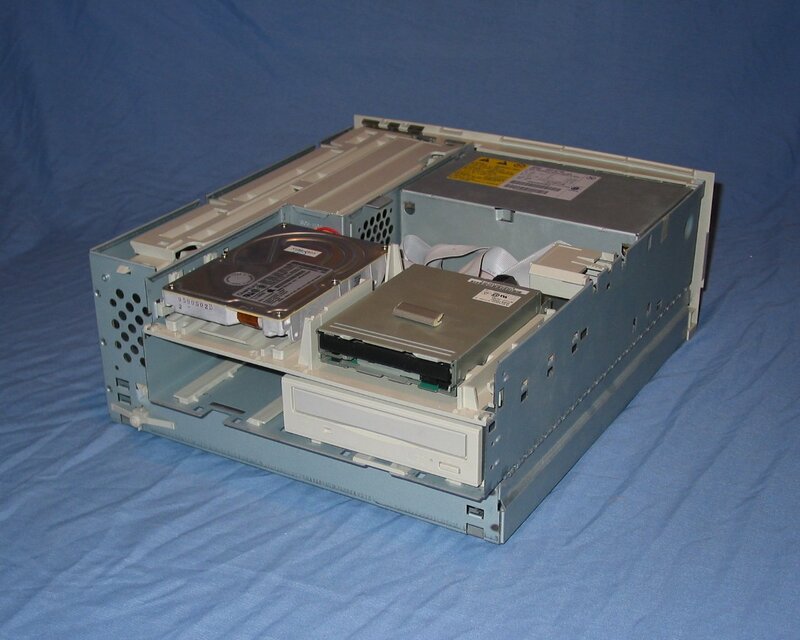 With the top cover removed the hard drive adjacent to the floppy drive can be seen. Removing the shielding exposes the unoccupied fourth drive bay. 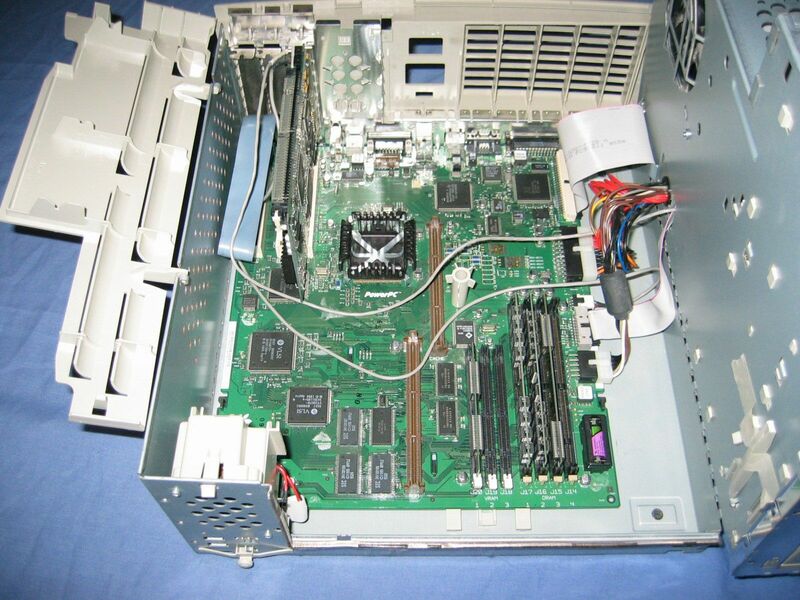 The entire drive bay and power supply assembly folds out to expose the logic board. 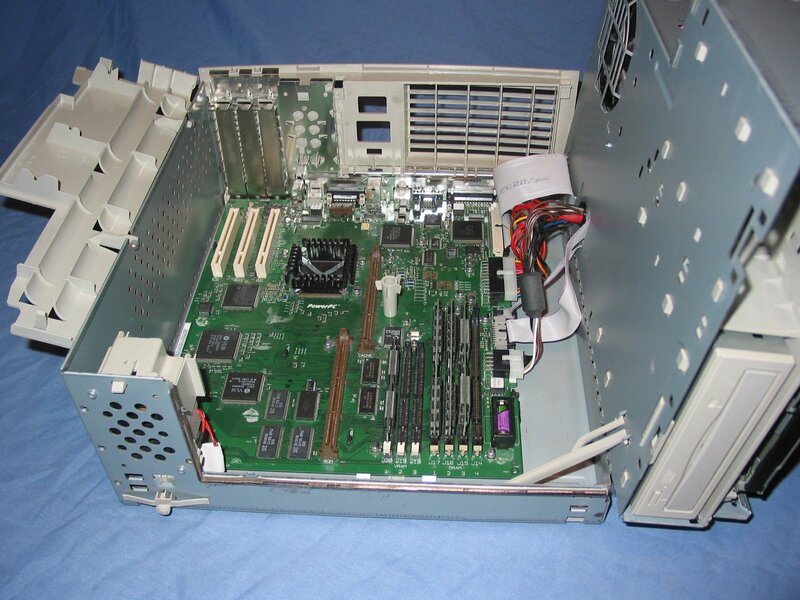 The platic cover over the PCI slots also folds out. 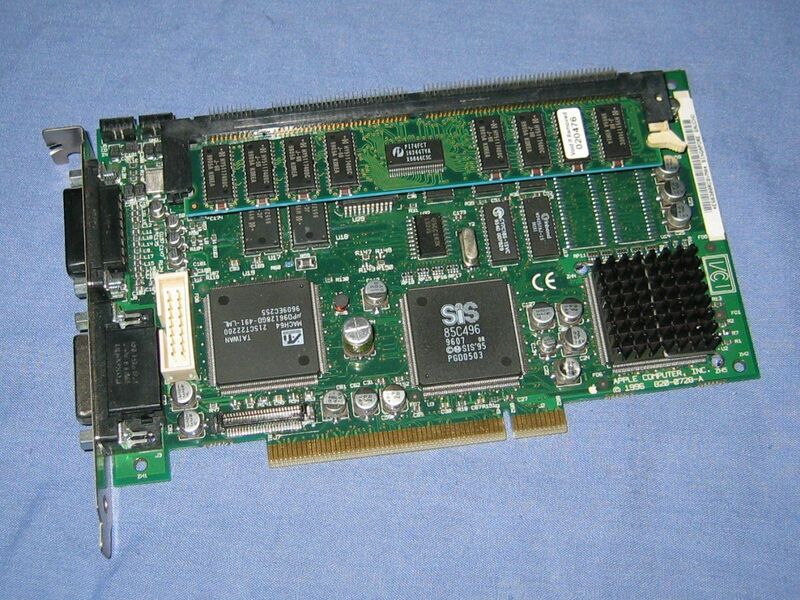 A 7" 100 MHz PC Compatibility Card with an additional 32MB DIMM installed. 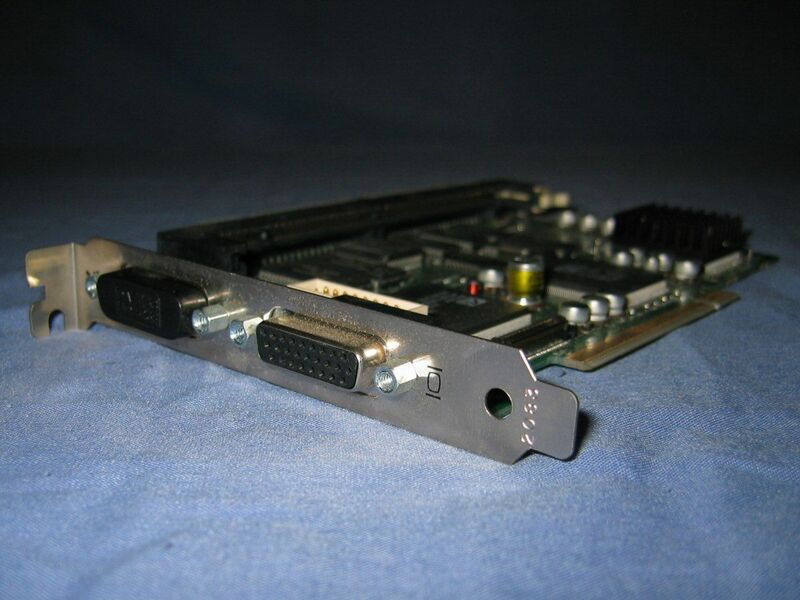 The PC Card has two ports, one for the video loopback cable and another for a joystick. It is interesting to note that the joystick port is covered by a cap to prevent inadvertent connection as it is the same socket as used for video out. 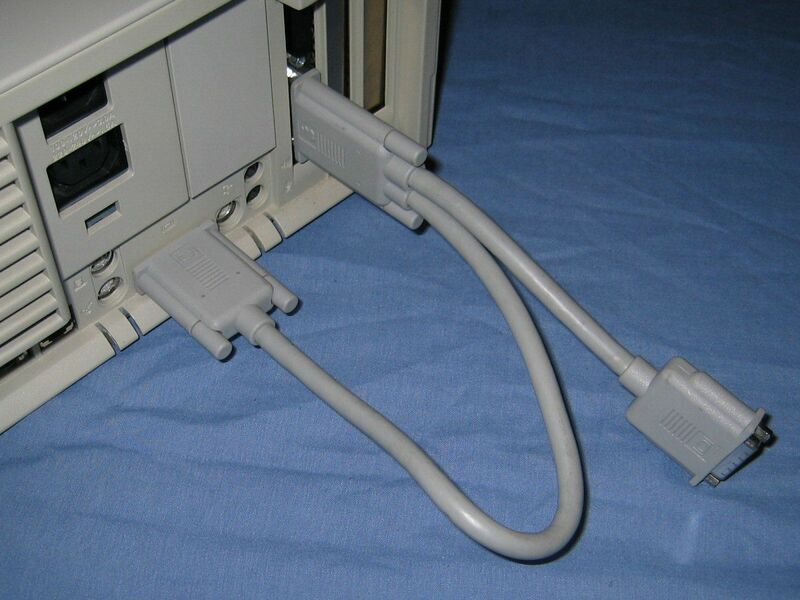 The rear of the system unit showing the loopback cable connected to both the built-in video out and the PC Card.